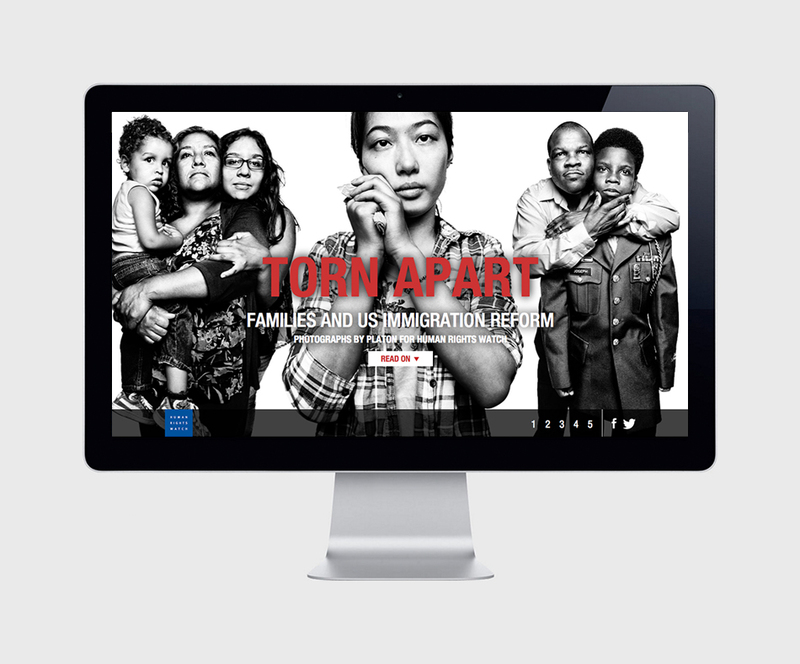 Over the last 15 years we have worked with Human Rights Watch (HRW) on developing story-telling templates to explore new and better ways to engage with their readership and followers. Our goal was to provide a format that would draw and keep the attention of their reader from start to finish. Covering stories by PLATON for the Winter Olympics in Russia 2015 to the subject of child marriages in Africa. We now in the process with HRW in building a custom-built modular CMS. As part of this process Fruitmachine produced a list of required modules that we felt would make each web feature dynamic in conveying HRW content. These projects have been eye-opening as well as deeply rewarding as we have been able to raise awareness for each of HRW’s campaigns.